"[Kanye] is likely to view his stay in the hospital as an unacceptable sign of weakness that is incompatible with his brand as a performer. His recent increase in social media activity and visit with Donald Trump are likely to be his way of sending a message to the world that he's still on top." 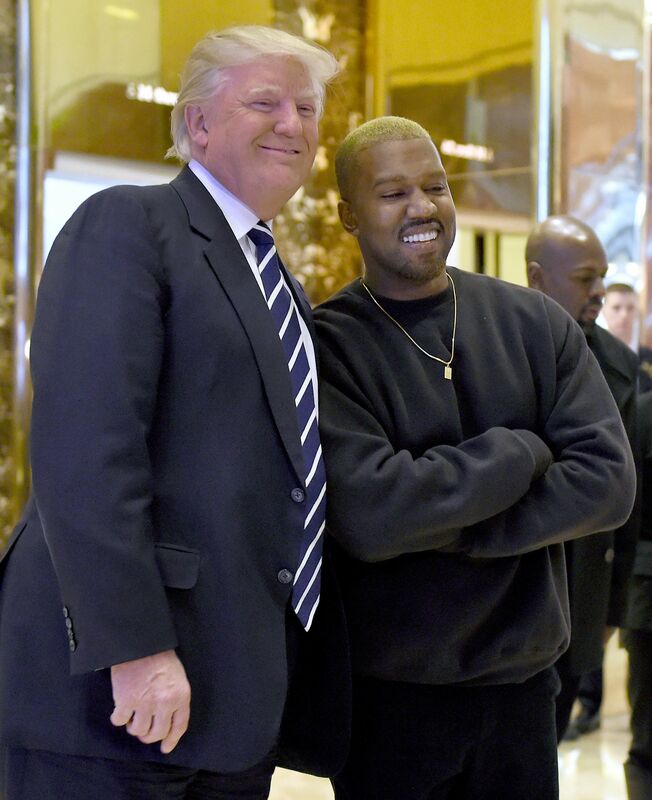 His meeting with Trump was not his first appearance after the cancellation of his remaining Saint Pablo Tour dates and his eventual release from the hospital. First, Kanye attended the "Rick Owens: Furniture" exhibit with a new blonde look on Dec. 8. Five days later, he was at Trump Tower, and that very same day he took to Twitter in order to explain the meeting in a series of tweets like only Kanye can. "I wanted to meet with Trump today to discuss multicultural issues. These issues included bullying, supporting teachers, modernizing curriculums, and violence in Chicago," the rapper wrote. "I feel it is important to have a direct line of communication with our future President if we truly want change." According to Erika Martinez, Psy.D., licensed psychologist, these tweets could actually be a positive thing. "It was inevitable that a return [to social media] would happen sooner than later, because it's such an integral part of how he conducts his career and business," she says to Bustle. "However, his recent tweets do come across as more subdued and crafted than earlier. That might be a good sign, but only time will tell." "His recent pleas to POTUS, canceling tours, and expedient recovery from a psychiatric hospitalization are just attempts to seek public attention. To a narcissist, any attention is good. As long as society keeps rewarding bad behavior, Kanye will always remain relevant." And, indeed, Kanye has certainly been the subject of a lot of conversation, especially as the end of the year has gotten particularly rough for him and his family. Entrepreneur and reality star Kim Kardashian was robbed at gunpoint in Paris on Oct. 2, and Kanye, who was mid-concert at the time, immediately canceled his show to rush to her side. The rapper subsequently lost a lot of fans when he declared at another concert on Thursday, Nov. 18, that he didn't vote, but, if he had, he "would've voted for Trump" — and then treated them to a 40-minute lecture about politics. "[Kanye] should learn from Selena Gomez's recent choices [to take a break from music and the spotlight to focus on her health]. Tune the world out. Choose to prove nothing to the world," adds Kushnick. "He needs to show himself that he knows how to create a self-contained healing bubble in which he powers down, enjoys family time, creates music, and avoids stress." And, indeed, this seems to be the direction the rapper is going in, if his Sunday night dinner with Kardashian is any indication. Of course, despite all of their wealth of knowledge in the general field, none of these experts are working Kanye's case. They know nothing about his life, or what he's going through, and their advice is solely steeped in what the public knows — as inaccurate as the rumors might be. However, the fact that they raise these issues, even for the purpose of speculation, might illuminate why many fans are concerned. As a fan myself, I believe that Kanye has good intentions in trying to make his voice heard about issues that matter in this country, especially now more than ever. But self-care isn't just important for normal people like his fans; it's just as important, if not more so, for celebrities, too.